Originally from County Wexford, Carmel Benson is a graduate of University College Dublin and of Dun Laoghaire College of Art and Design where she majored in painting and printmaking. In 1983 she joined the Graphic Studio, Dublin where she further developed her printmaking skills and later became a Director. She was a lecturer at Dun Laoghaire Institute of Art, Design and Technology for 12 years until she resigned in 1999 and moved to Roundwood, Co Wicklow. Interaction has been an important element of her practice and she has given workshops in The Dalkey Educate Together School Project, Newpark Comprehensive School and more recently in The Educate Together School, Bray. Since her first solo show in The Grafton Gallery, Dublin in 1984 she has continued to exhibit both paintings and prints widely in Ireland and abroad. Group shows have included EVA, Limerick, Eigse, Carlow as a guest artist, ‘In a Time of Shaking’ for Amnesty International at IMMA and many print shows including the London and New York Print Fairs, the print biennales in Lubyana, Taipei,and I’Orient and shows in Northern Europe. Her most recent solo exhibitions were at The Graphic Studio Gallery, Dublin in 2013and The Mermaid Art Gallery, Bray, Co Wicklow in 2014. She has received awards for printmaking and bursaries from the Arts Council of Ireland and The University of Oviedo, Spain. 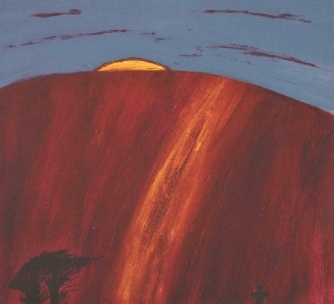 Her work is included in many public and private collections including The Irish Contemporary Art Society, Aer Lingus, The Butler Gallery Print Collection, the IFSC,The Bank of Ireland, the AIB and the Arts Councils of Ireland.